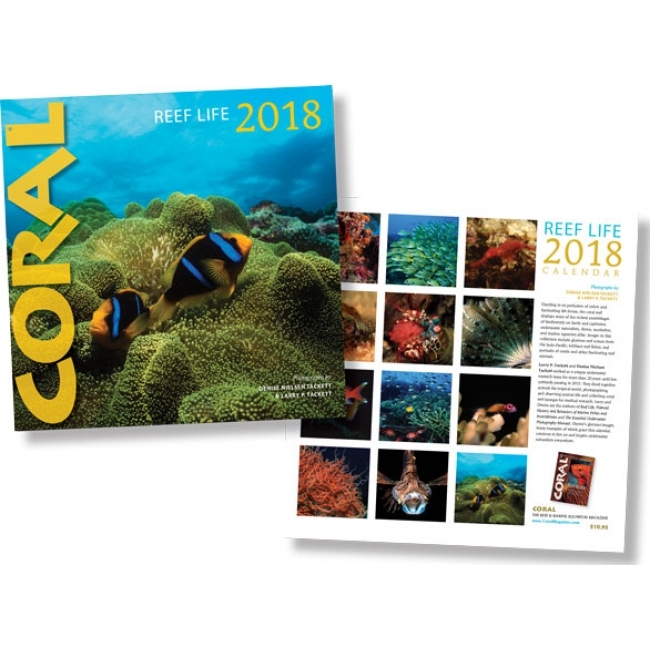 CORAL Magazine’s 2018 Reef Life Calendar is on sale now! With images by renowned professional photographers Denise Nielsen Tackett and Larry Tackett, the 2018 Reef Life Calendar brings a dazzling profusion of world-class underwater images that will fuel the enthusiasm of any marine reefkeeper. The perfect gift for all reef and marine aquarists on your gift list! Reef Life – Live it 365 in 2018!